Do you find yourself constantly picking or scratching at your skin? 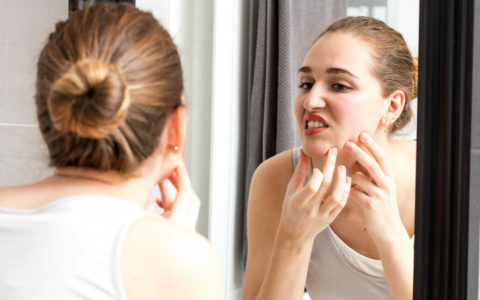 Are you obsessed with blemishes on your face or body, to the point that you have intense compulsions to pick at them? Do you sometimes pick for hours, or until your skin bleeds? Are you obsessed with pulling out your hair? Have you pulled out all your eyelashes or eyebrows? Do you have bald patches because of an intense urge to pull out your hair? If you answered yes to any of these questions, you’re not alone. Excoriation Disorder and Trichotillomania are the official diagnoses for skin picking and hair pulling disorders. They fall within the category of Body-Focused Repetitive Behaviors, or BFRBs, and these disorders are believed to affect more than 146 million people. They can be incredibly debilitating and challenging disorders to overcome. 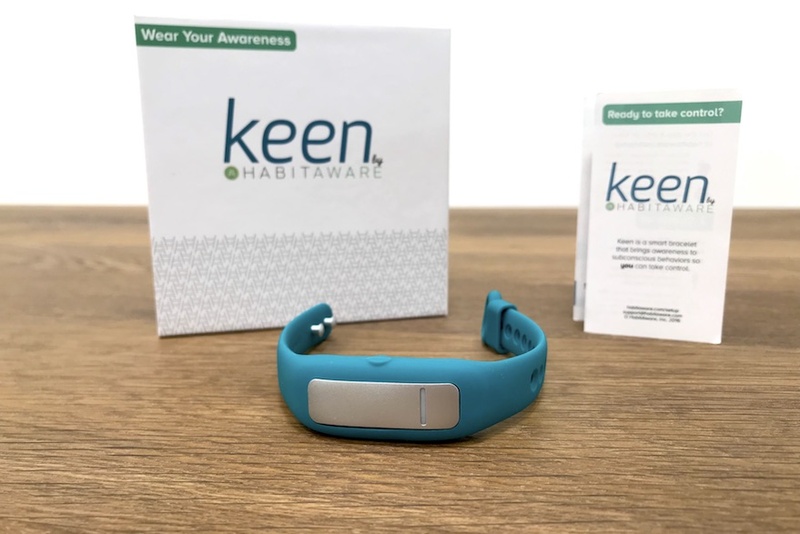 To make that challenge a little more manageable, Aneela ­Idnani and her team at HabitAware have invented a wearable technology. First, let’s learn her story. Aneela had been struggling with her hair pulling disorder for nearly 20 years before she was truly “caught” in the act. Aneela began hair pulling in her tweens as a coping mechanism. A few years ago,One morning, she didn’t have time to finish her makeup routine before her husband walked into the room. “Where are your eyebrows?” he asked, genuinely perplexed and confused. It was a hard, scary moment, but what evolved over the next several years hasn’t just changed Aneela’s life — it has the power to change the lives of millions of people who also suffer from skin picking and hair pulling compulsions. As Aneela opened up to her husband, Sameer, about her trichotillomania, he began to notice her subconscious habit of reaching for her hair. “We’d be sitting together on the couch, and he’d start to just reach for my hand as he saw me going to pull,” recalls Aneela. “ It was then that the idea for Keen was born. Creating Keen started as a side project — a tinkering activity for Aneela and Sameer. But the prototypes they built were working, and they realized they were on to something. After and finding the right tech-savvy cofounders to make their vision a reality, the HabitAware company was born. 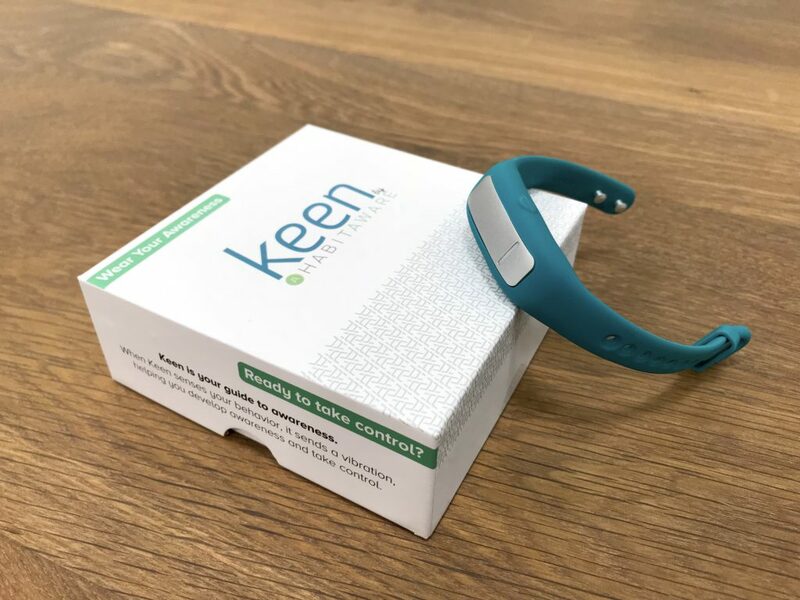 Soon, the first prototype of Keen sat on Aneela’s wrist. And it worked. The key was that Aneela was living it herself. As somebody who battled trichotillomania for nearly two decades, Aneela didn’t have to put herself in the brain of someone with this disorder and figure out what could help them — it was an incredibly personal development process for her. And that, she reminds, is why the bracelet is so innovative. How does Keen actually work? The bracelet has the same look and feel as a fitness tracker — a simple, sleek design with a sensor that snaps into the middle of an adjustable band. That sensor works by being “trained.” You download the HabitAware app to your phone, put on your bracelet and record the “scanning” movements you’d make before picking at your skin or pulling at your hair, the same way you’d record your voice. The app then learns this behavior and vibrates when it senses that movement. 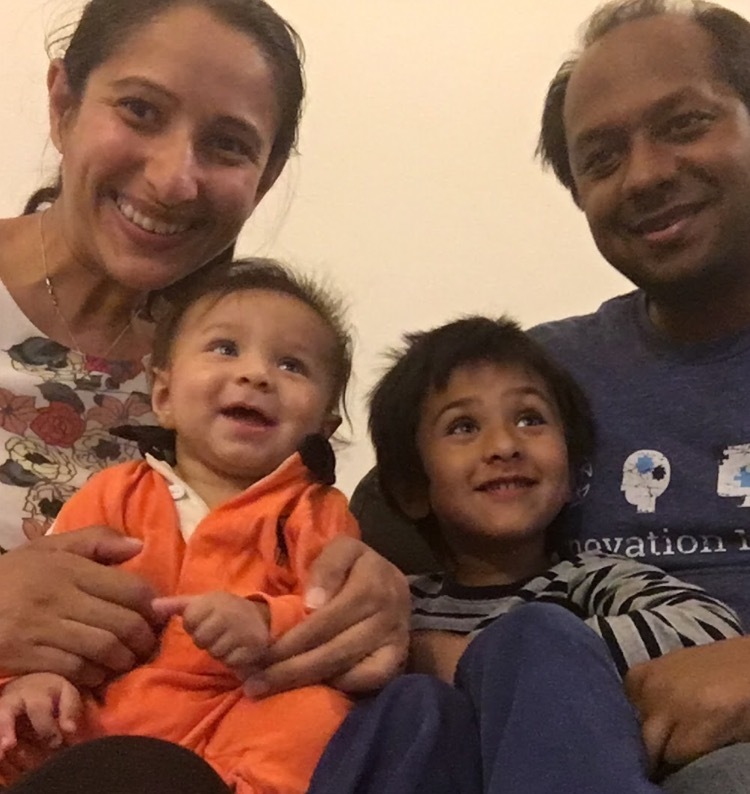 Aneela, her husband Sameer and their two boys. Why is Keen so effective? You can’t change what you aren’t aware of, right? “These types of disorders are subconscious. Automatic, even. You don’t realize you’re doing it. Or, if you do realize, the train of thought is ‘I’ll stop when I get this one, or the next one, or the one after that.’ But that’s your subconscious voice. It’s not the real you, and it’s not the decision maker,” empathizes Aneela. You, she reminds, are who’s really in control. And that’s where Keen comes in. When the bracelet vibrates, it’s bringing the picking compulsion from the subconscious into the conscious — giving you the ability to then consciously say to yourself “my hands are not where I want them to be”. That’s when you can then grab a stress ball, go for a walk, or do some deep breathing instead. The bracelet itself has lights on it, which can guide you through a deep breathing exercise as the lights change. 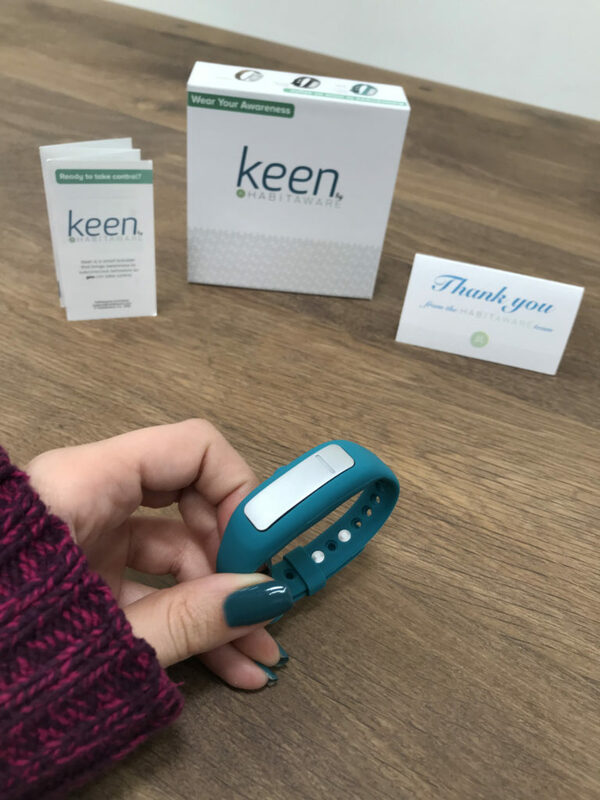 Aneela’s got big plans for her bracelet — she’s building partnerships with everyone from dermatologists to psychologists, developing more activities and options for the app, and creating new bands and color options for Keen. She also wants people with skin picking and hair pulling disorders to know that they can take control. “Ultimately, all the time and energy you spend hiding and worrying and putting on wigs and makeups, the way I did… you can have all that time back. And then, you can go and do something amazing with all that time and energy,” she says with hope and excitement in her voice. Ready to make positive change in your life? How Much Damage Does Picking Your Zits Really Do?